Then I came up with Pretzel Tree Bark! 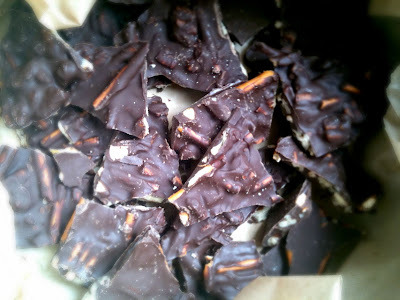 I love making chocolate bark concoctions, they are such an easy way to make a plain bar of baking chocolate come to life! 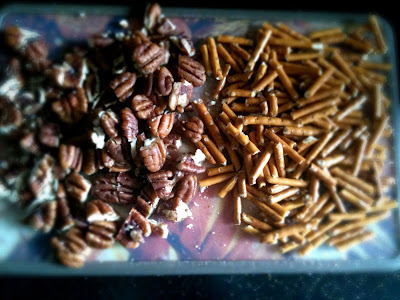 So I rifled through my baking cupboard and found some pecans (I always have some sort of nut laying around!) 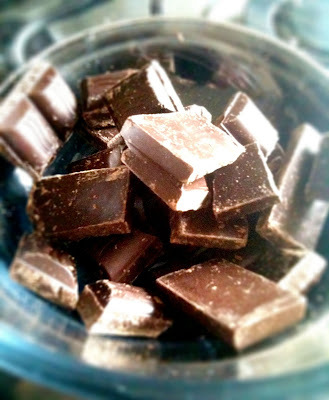 and a bar and a half of plain chocolate (semi-sweet for my Canadian friends!). 1) Break up the chocolate and cook it double boiler style until melted. Make sure not to get any water into the bowl or it will harden. 2) While the chocolate is melting, chop up the pecans and break up the pretzels. 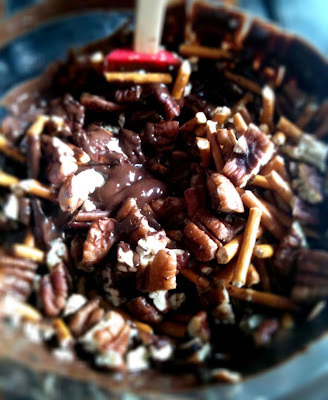 3) Then once the chocolate is all melted (give it a good stir to get all the lumps out), add the pecans and pretzels and stir them in until well-coated. 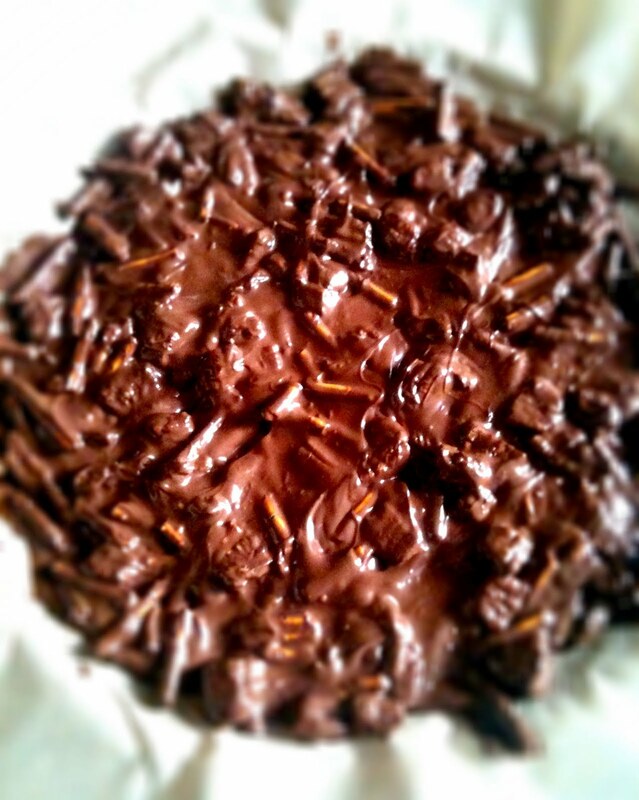 4) Then spread the bark mix until a greaseproof paper that you've put onto a baking pan. Put it in the fridge for at least an hour to harden. 5) Once it's hard, take it out and break into small pieces. Looks sinfully delicious! 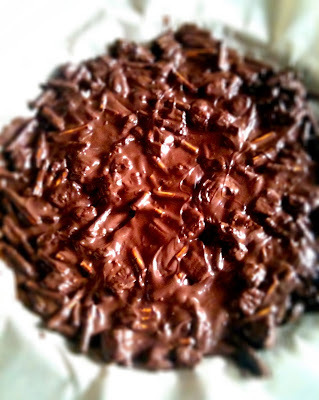 thanks so much for stopping by and for following my blog!